Both our teams won today playing at home. RAC II will be promoted to division II for next season. RAC I finished 6th for a creditable performance in our first season of Division one play. I closed out the RAC season with a quiet draw but a closer examination of the game shows how much of the subtle ending I missed. RAC I won the match 8-4 and I also managed to get some pictures taken with our Captain’s camera. Black has the better bishop and the more active knight. What do you recommend for black? RAC got crushed on a beautiful day(26 C outside) by something like this score. I lost horribly and so did everyone around me. 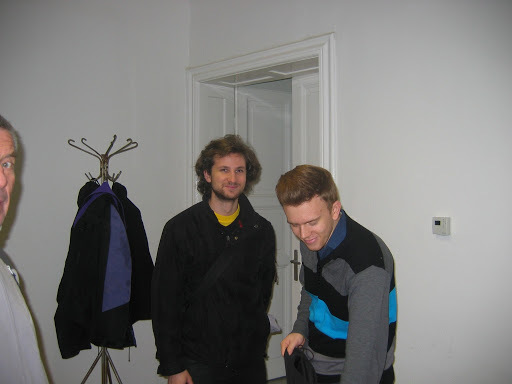 Szepes,Tamas won a nice queen ending(Q+ 2Ps vs. Q+2Ps). 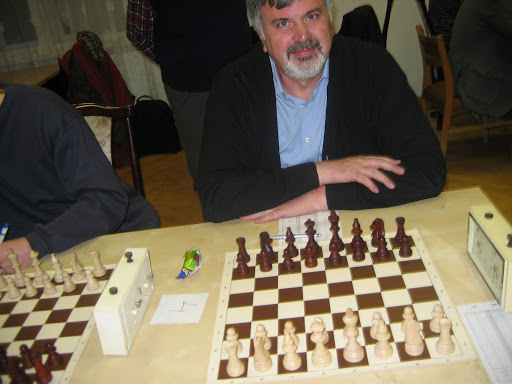 FM Lyell,Mark won a rook ending(R+2Ps vs R+P) and then rushed off to play his First Saturday tournament game. I needed a few hours to calm down as I didn’t think that my play or my position was that bad. However, Mr Houdini3.0 had a different opinion and did an excellent job of hurting my feelings and crushing my fragile ego. I got a nice position from the opening so I can’t blame the Philidor. However, the position required concrete action and sharp play and I was not up to the task. Once I loosened the queenside with ..b4, there was no going back and the game was essentially out of my hands. Black has a solid looking position. What do you recommend for white? I managed to make a nerve racking draw in the end as our team managed a 3-3 tie. Black’s kingside is wide open and the queenside pawns are broken. White has compensation for the pawn invested at a minimum and is looking for more. What do you recommend for white? RAC showed up with 5 players for the final and managed a dramatic tie. Szepes hung tough in the time scramble in a lost position and won on time. Suranyi looked like he had good position, then a lost position and managed to hang on for a draw in the blitz finish. I defended a Queen’s Indian 4.g3 Bb7 and made draw in a roughly equal game. I lost very quickly in an Old Indian in the regular season so this game I changed defences for a better result. White got overwhelmed in a Sicilian Accelerated Dragon. Palla, Akos(RAC) won as black from a lost position when down a piece for two pawns. Here is what could reconstruct from memory. Games and analysis later. I managed to take some pictures so these are coming too. Reliable Surányi,Pál contributed yet another win for our team. Pal is also a nice guy and a fantastic addition to our team. Board 3 is barely visible on the far left corner. Black has more pieces and more active pieces. Find the tactical blow for black! 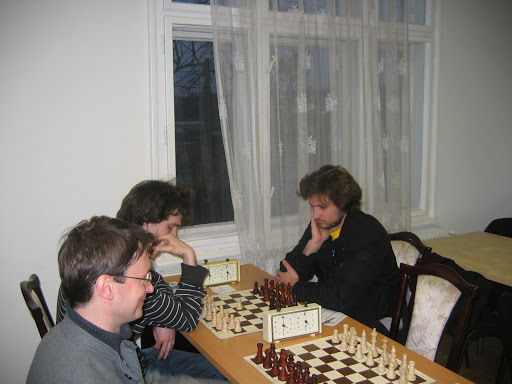 Nádasi,Balázs was a bit busy before the match doing his normal duties up at the club giving chess lessons to his students. After the game he continued to do library duties as I browsed the club library. White has a lead in development and two active bishops while black lags in development. 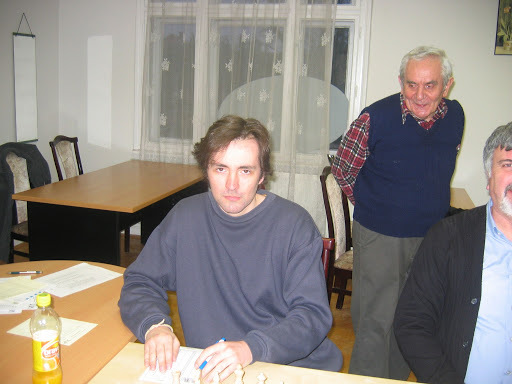 RAC’s new board one player,Téglás,Balázs, contributed a win right away. White has invested a piece for a kingside attack. How should black defend? RAC won the match but I managed to contribute only a winning position but not a winning result. In fact the result is quite hard to explain. 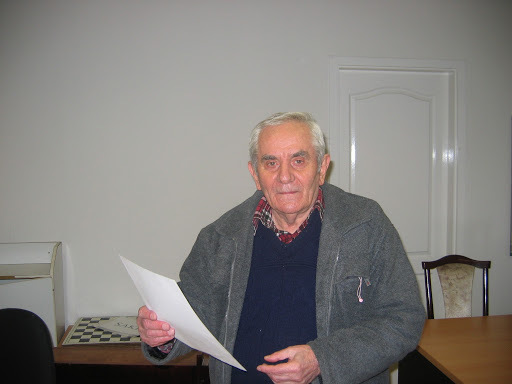 Commitee of Silent Chess) team at several Chess Olympiads. White has played well and is clearly winning with a healthy P+ and a mobile central pawn majority. My logic was as follows. The BB pair is passive and the next phase is to neutralize counterplay and activate the bishops. What should white do now?